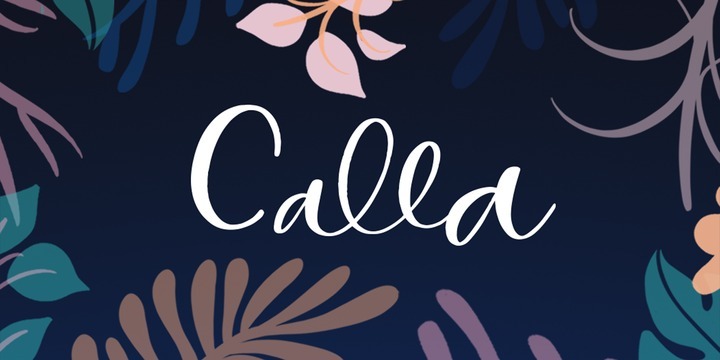 Calla Script is a handwritten typeface created by Molly Jacques together with Dathan Boardman and published by Great Lakes Lettering which is available in three styles and usefull OpenType features. The authorts pay attentions to details and the font is suitable for branding, display, magazine, poster, wedding etc. Enjoy! Price: starting from $30,00 for one font to $50,00 for all 3 fonts. A font description published on Tuesday, September 12th, 2017 in Dathan Boardman, Fonts, Great Lakes Lettering, Molly Jacques by Alexandra that has 2,984 views.